I had to read Rebecca in my high school English class, and although I resented being forced to read anything, I immediately fell in love with du Maurier's gothic storytelling. I've since re-read Rebecca several times (and seen the movie), but I have no excuse why it's taken me so long to pick up another of her books. 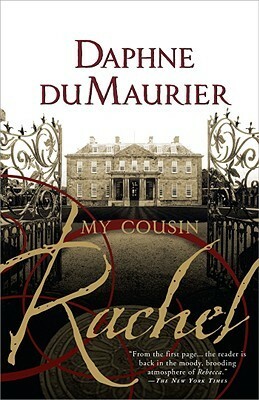 My Cousin Rachel has many similarities to Rebecca—in setting and character—and I was hooked from the very first line, "They used to hang men at Four Turnings in the old days." I sped through the book, racing to the conclusion and hoping to find a definitive answer to the question of "did she or didn't she??" but alas, du Maurier leaves it ambiguous— which was as frustrating an end to Rachel's story as it was, in hindsight, a fitting one. This book had been sitting on my shelf for years, but once I finally picked it up, I couldn't put it down. Published in 1995, The Mole People is a fascinating first-hand account of Toth's travels through the maze of tunnels underground the New York City streets, and the people she met along the way that call the tunnels home. I can't believe that Toth, a 20-something year-old reporter, was brave enough to explore underground in the early '90s, but I'm so glad she did. Some reviewers have issues with Toth's first-hand account, but I thought she was very thoughtful and respectful of the people she met. I'm glad that through her, I was able to experience this fascinating slice of '90s New York, and I found that her experience added to, rather than detracted from the overall story. After I finished the book, I watched this documentary—it was shot in the '90s but not released until 2000 and serves as a great companion piece to the book— although I'm still hungry for an update on what the tunnels are like today. David passed on a New Yorker article to me recently about Barren Island, an island in Brooklyn that once housed rendering plants and a landfill—it was eventually enlarged with refuse and joined to the mainland, forming the land that then became home to Floyd Bennet field. Fat of the Land was credited as a source in the article, and I immediately tried to find a copy. It’s no longer in print and the library didn’t have a lending copy but I was able to find it used on Amazon. Maybe there isn’t a huge demand for a book with the subtitle “Garbage of New York—the Last Two Hundred Years,” but I’ve long been fascinated by the way cities work, especially sanitation infrastructure (I even attended a Brooklyn Brainery lecture about garbage). This book bounces around quite a bit and often strays far from the central topic of garbage, but I’m a New York history nerd so I appreciated the detours involving Robert Moses and Frederick Law Olmsted. 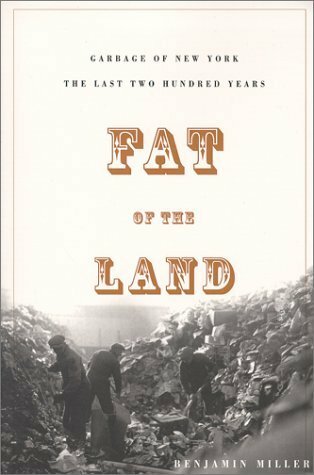 It might be helpful to have some background knowledge of New York before you dive into such a niche subject—and I might not ever fully comprehend all of the intricacies of city politics and infrastructure—but Fat of the Land was a great place to start. Like, du Maurier, Salinger is an author that I was first exposed to high school, when I read (and subsequently re-read) The Catcher in the Rye. Franny and Zooey is a collection of two short stories about the fictional Glass family, both of which originally appeared in The New Yorker. I liked the shorter "Franny" more than I liked "Zooey," but they both take place within a few days of each other, and both parts fit together as one coherent story. I'm a bit conflicted about Salinger—I am absolutely bowled over by some of his passages and his disillusioned, angsty views on society really strike a chord with me. But some parts of Franny and Zooey (like some parts of The Catcher in the Rye) are just a slog to get through and the language can feel a bit foreign or old-timey to me. I'm still intrigued by the Glass family, and although Salinger didn't publish much, there are a few more Glass stories out there that I look forward to reading with a mixture of adoration and frustration. I picked up this book while I was browsing at the library, thinking that it was about the stowaway on Shackleton's journey (detailed in one of my favorite books, Endurance). But The Stowaway is actually about a different stowaway on a different polar expedition with a different explorer at the helm. Billy Gawronski was just shy of 18 years old when he jumped into the Hudson River and snuck aboard a boat destined for Antarctica as part of Richard Byrd's 1928 expedition. He was discovered and sent home, only to stowaway on a different ship—twice!—before Byrd decided to let him stay. Gawronski made it to Antarctica and although he wasn't picked to overwinter with Byrd (whose expedition was the first to reach the South Pole by air), his story is still an interesting one. Billy grew up on the Lower East side and in Bayside, Queens and I liked the descriptions of 1920s New York City just as much as the more exotic locales. 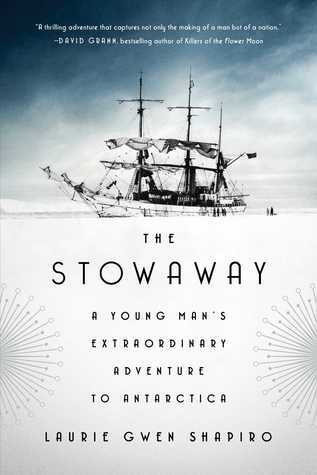 The Stowaway may be scraping the bottom of the barrel of polar expedition stories, but it was an enjoyable, short read and it only solidified my dream of one day making it to Antarctica (on a warm, safe boat, preferably). So far I've read 15/60 books for my 2018 reading challenge — follow along on Goodreads — and you can check out all of my book reviews by clicking on the books tag.